For the first time this season the show is live for the playoffs. All 24v artists are performing tonight. The artists with the most votes from each team will advance to the top twelve. 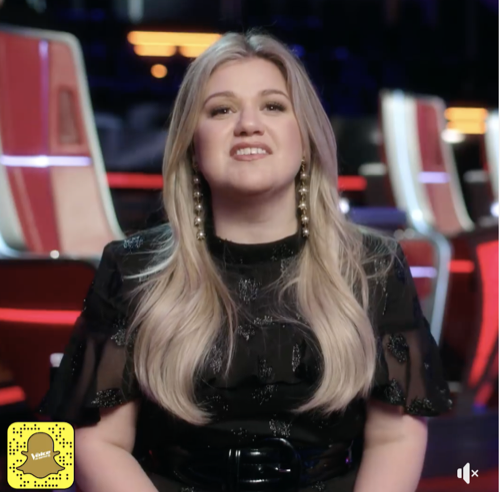 Tonight we start with Team Kelly and she believes her team is everything she wanted, strong voices that move you and all the coaches are afraid of her team she says. Time to give some results for tonight’s performances, Team Kelly is first and the artists with the most votes and moving on to the top 12 is Brynn Cartelli. It is time for Team Blake and he thinks his team is shaping up to be incredibly diverse. Pryor has this bluesy voice, he sings at bars and in Nashville. Kyla is now discovering her voice. Wilkes is so much fun, he has so much range and is so thoughtful as a songwriter. Gary has great confidence and Blake loves his voice. Austin has a great style and loves to entertain. Spensha comes from a gospel background and Blake loves her vision. More results, this time it is for Team Adam and we will find who was voted to be saved and go directly to the top 12, it is Sharane Callister. Team Alicia is up next and she thinks her team is super powerful, they are artists that are going to move you. Britton totally stands out from the pact, he is super young and really impressive. Alicia saved Christiania because she is so talented. Kelsea is spectacular and her voice really doesn’t sound like her. Terrance is so brilliant with music and puts his own spin on it. Alicia stole Jackie, she thinks they are so good for each other. Johnny is amazing, he is straight New York. Now it is time to see which artist from Team Blake is moving to the top 12 and has been saved by America, it is Kyla Jade. The last team to find out who makes it to the top 12 is Team Alicia, the artists saved by America and moving through is Britton Buchanan.